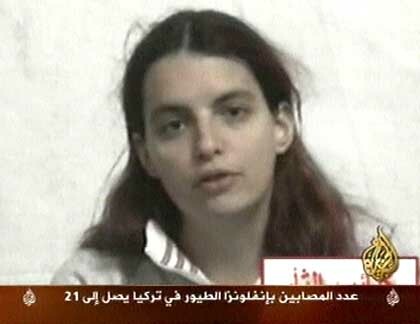 Christian Science Monitor journalist Jill Carroll was kidnapped by terrorist threatening to kill her demanding that all female prisoners in Iraq be released within 72 hours. The 72 hours deadline is up and now we wait hoping for the best. The people who have her are capable of the worst, they have aready killed her interpreter. Jill Carroll appeared in a 20-second video that aired Tuesday on Al-Jazeera television. To see this video of this woman sickened me knowing that her life is in the hands of terrorist.